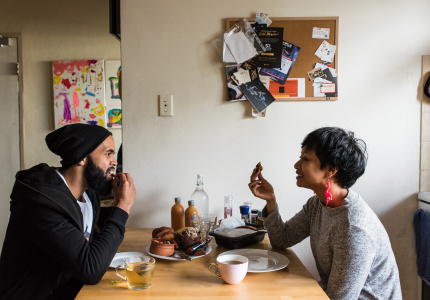 She describes her style as “hyper-clash salad” and he’s more ordered, but this arts writer and artist both explore the unknown in their work. 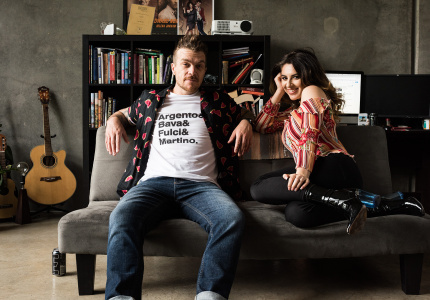 Mariam Arcilla and Mason Kimber aren’t like two peas in a pod – they’re more like a pea and a pod. That is, two parts of a whole. Even their careers fit neatly together. Kimber is a Perth-born contemporary artist and educator whose practice is anchored by the “inbetweenness” of architecture and memory. Arcilla is an arts journalist who’s been published in Vault, Running Dog, Art Monthly and Broadsheet Brisbane, and a curator. She’s collaborated with the Institute of Modern Art in Brisbane, the Museum of Brisbane and the University of Technology Sydney. It turned out another flatmate had a favourite for the room and Arcilla never stood a chance. “I always say, I lost the room but I won the boy,” she says, laughing. After running into each other at a few art openings, Kimber invited her for a drink. 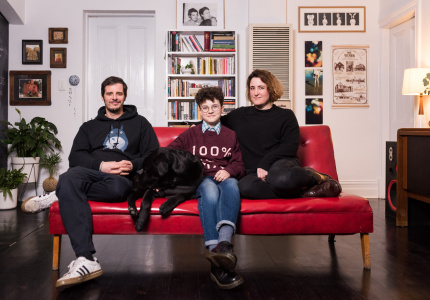 Eventually they moved into the charming art-filled Darlinghurst flat (in Sydney’s inner east) where we’re now sitting around the dinner table. 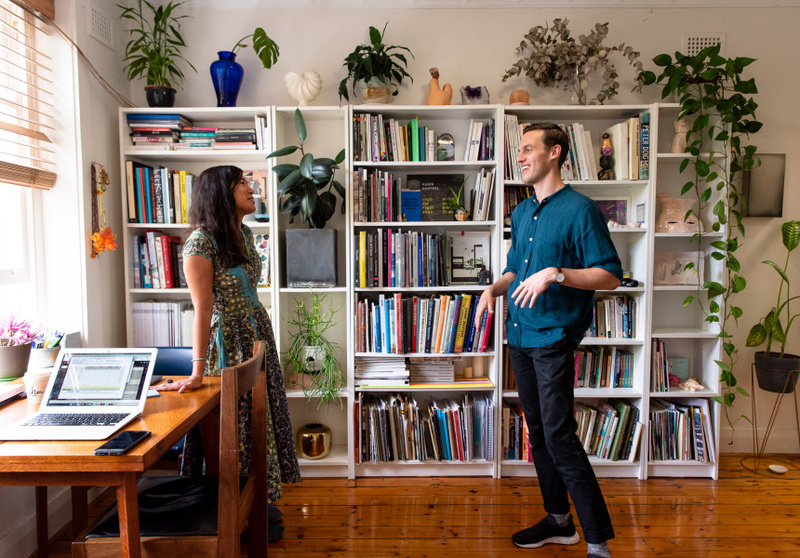 Green plants cascade over books and records that line the walls of their colourful lounge room. A pot of chicken adobo – a classic dish in Arcilla’s native Philippines – has been simmering on the stove for hours. Its pungent, garlic-y scent fills the room. Arcilla is full of stories, particularly about her childhood growing up with her dad’s family in Quezon City, north east of Manila. Arcilla’s father is an artist, which might explain why she slots in so comfortably with Kimber. It also explains the ornate nature of her writing. 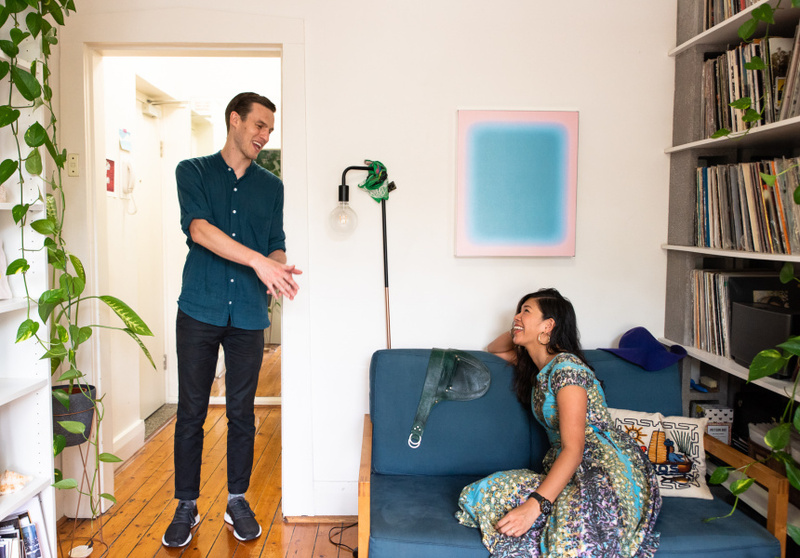 Arcilla was scared to lose the memory of her childhood home, so the couple visited the Philippines in 2018. “The house is deteriorating and my lola [grandmother] has dementia so she’s forgetting,” she says. For Kimber, the visit was the catalyst for an exhibition. “I decided to create artwork as a way to help preserve the memories and get to know Mariam,” he says. 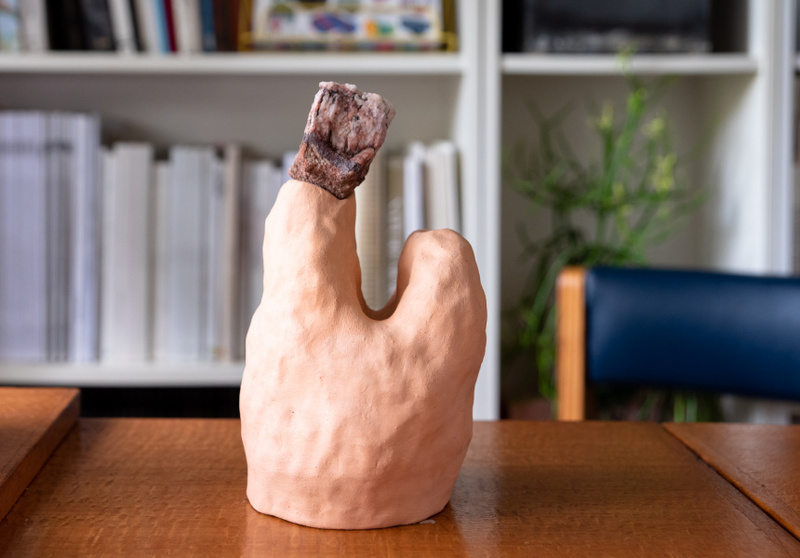 During the two weeks they spent in Quezon City, Kimber took silicone moulds of objects around the house and used them to create artworks that formed the 2018 show Slanted Mansions at COMA gallery in Darlinghurst. The couple potter around the kitchen harmoniously. They rarely argue – in fact their first and only argument was when Kimber asked Arcilla to write about one of his shows, Future Relics. He also realised their work comprises two essential parts of the art story – him exploring the chaos of memory; her documenting the shows and artworks she’s experienced. “In art, it’s the exploration and unknowingness that keeps me driving forward for an answer. And for Mariam, to write about it is to know the answer,” he says. 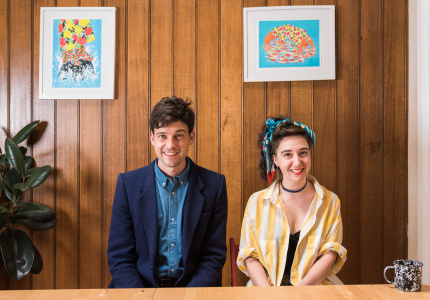 This is another edition of Broadsheet's Creative Couples series, where we get to know creative folk who span a cross-section of inspiring careers and ambitions. Read more here.